Now that the warm weather is here and we are taking our lives outdoors, why not take a little bit of your inside outside. Here are a few ideas to make your outside as decorative as the inside of your house. Each one will add impact to your porch, patio, or backyard, can be easily done, and are very budget friendly. 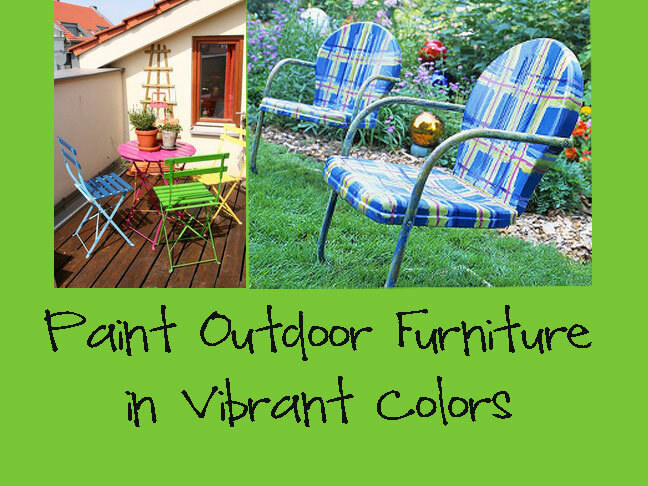 Update a basic patio set by painting each chair and the table a different vibrant color. Like pattern try painting a plaid pattern. Use exterior semi gloss or gloss paint. 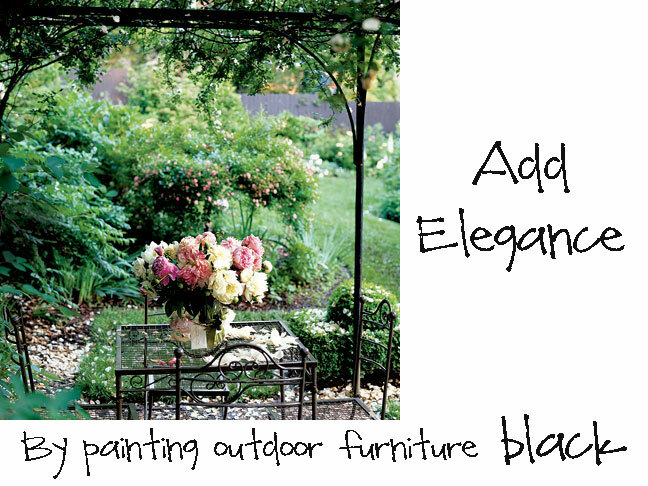 Or create instant elegance by painting an entire set black. 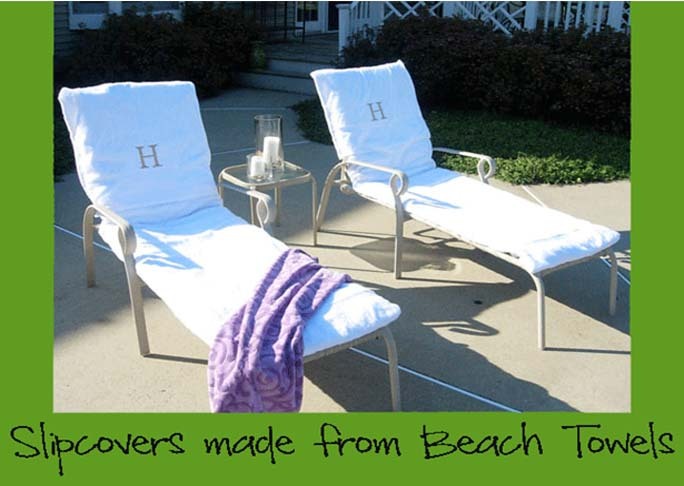 It is easy to create a spa like atmosphere when you make white terrycloth slipcovers for your lounge chairs out of white beach towels. Have a monogram added to make them simply chic. I searched in my local yellow pages under “monogram” or “needle workers” and found a mom who does monogramming out of her home. It only cost me $ 8.00 for each slipcover. 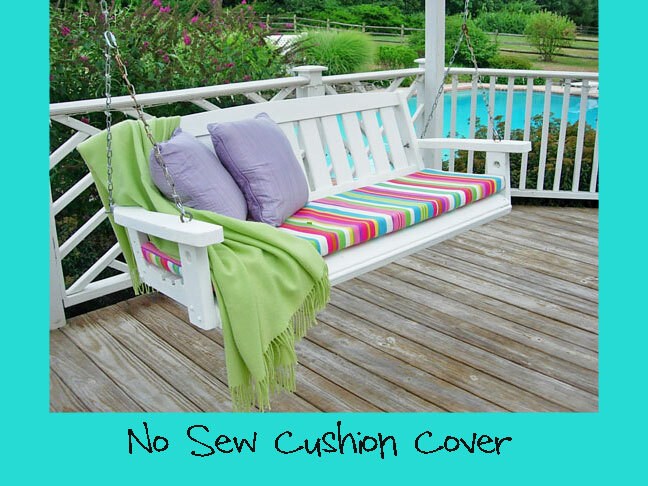 Give your porch some presence with a porch swing covered in a colorful stripe fabric. The best part of this cushion is that it is no sew. I found the outdoor canvas at Jo-Ann’s Fabrics. 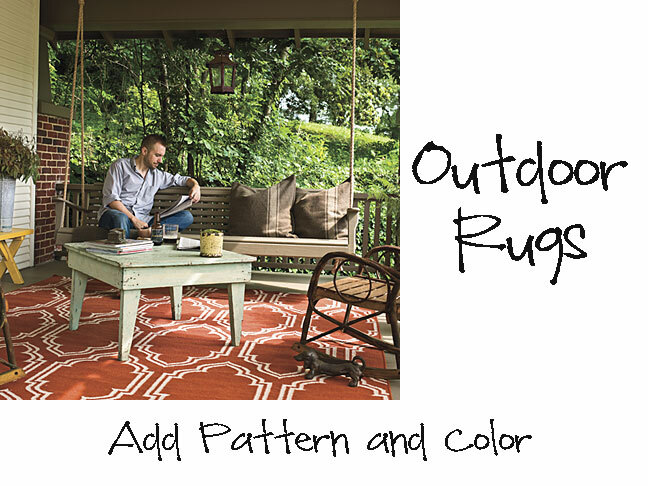 Place a colorful rug on your porch for instant impact. It also helps to pull the furniture into a conversational grouping when you are entertaining. 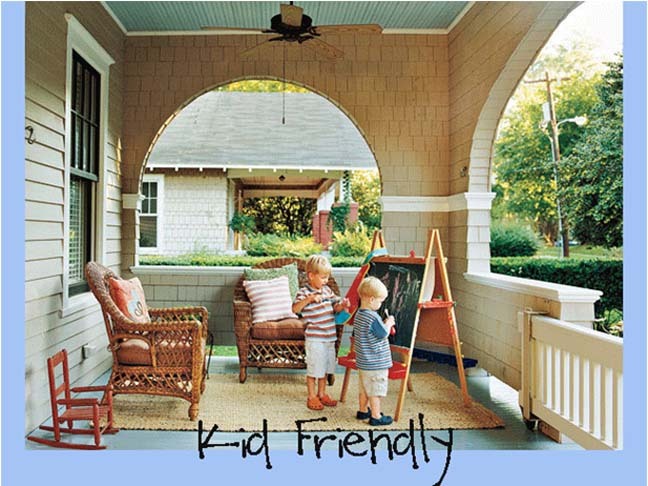 A porch in the summer can become a kid friendly outdoor playroom when a child safety gate is installed. Adding outdoor pillows will brighten your outdoor seating, but will have to be brought in from the elements. 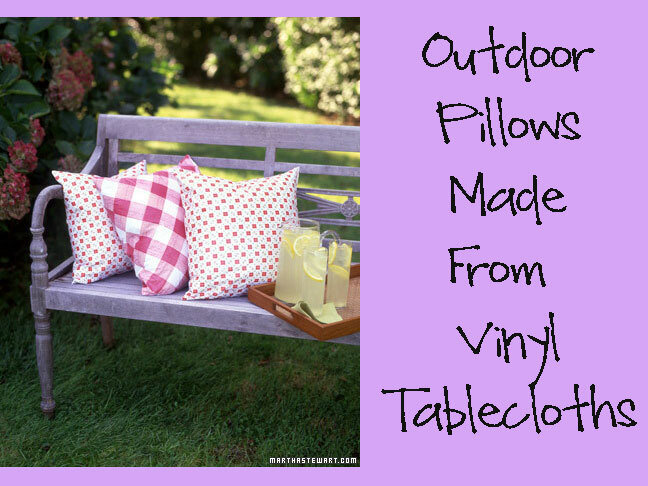 If you can’t afford expensive outdoor pillows or cushions an inexpensive alternative is making cover’s out of vinyl tablecloths. 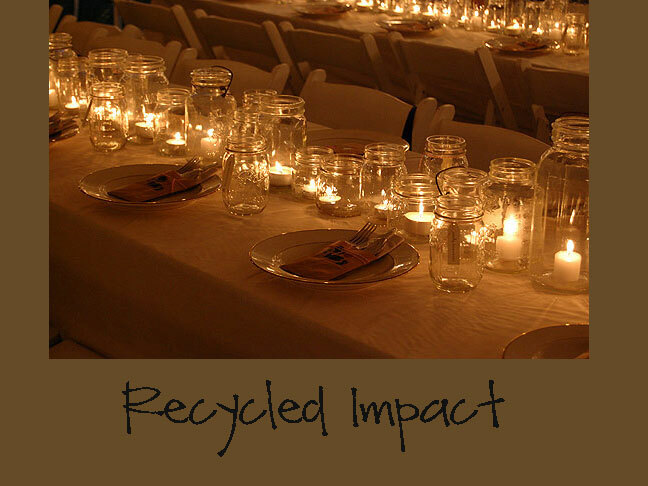 When the sun sets, place an abundance of cleaned out glass jars of all sizes on a table or around the perimeter of your space to create instant ambiance. Fill them with tea light candles so when the candle burns out all you need to do is remove the empty tin the tea light was in and then place a new one in. No waxy mess to clean up. You can find various sizes of tea lights at Ikea.